Sorry IBM, I couldn't resist. Sorry IBM, CA couldn't resist. 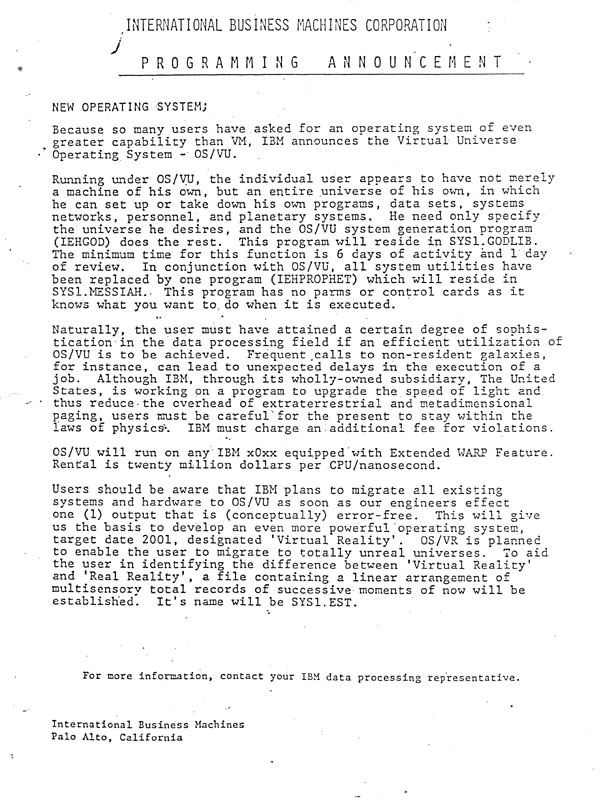 The document below appeared in the computer room at Security Pacific National Bank about 1980 or 1981.
the idea that a "program has no parms or control cards as it knows what you want to do when it is executed"
is an idea that is not as impossibly ridiculous as it was not so long ago. Does anyone know who authored this and / or the story behind it? If you do, please let me know! Image with address info here. Of course, if you already knew all that, then you must be a...mainframer!